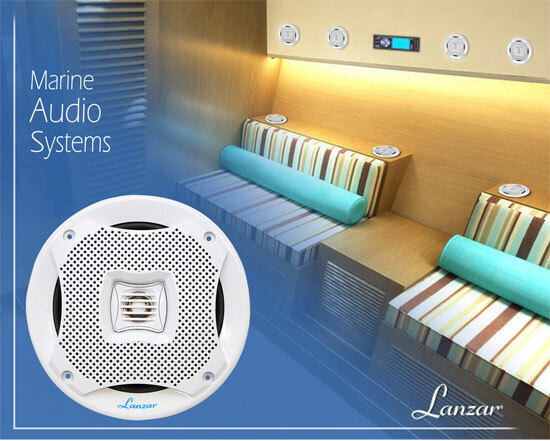 Lanzar's Mariner series of speakers are waterproof and designed for use in your boat, on the dock, by the pool, or simply mounted outside. They?re designed with a water-resistant construction to keep the rust out. 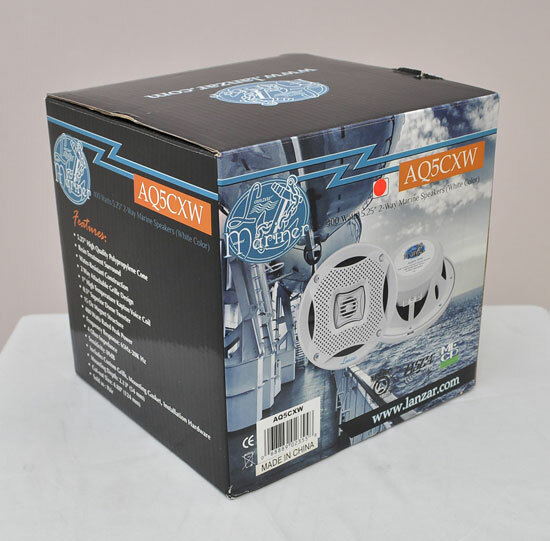 The AQ5CXW includes two white full-range speakers suitable for marine use. They?re rated at 200 watts for big power. The 1" high temperature Kapton voice coil accurately reproduces low and mid-range frequencies, while the 0.5" superior dome tweeter hits the high frequencies. 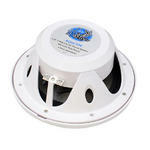 The molded ABS plastic basket keeps your sound distortion-free. 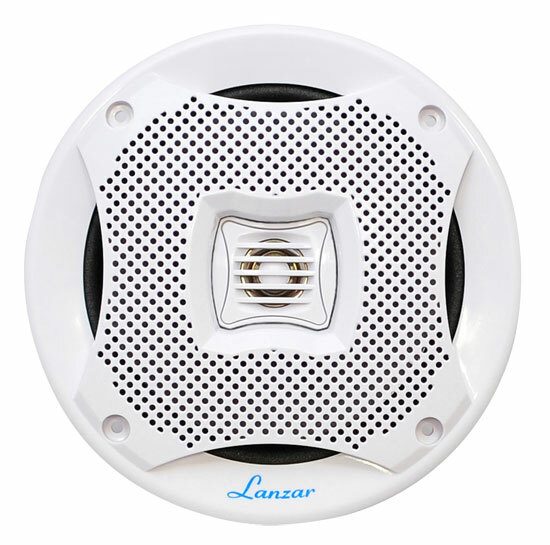 Package includes custom grills, mounting and installation hardware.